On the 22nd (Wed), admire the natural beauty at Japanese Tea Garden. Here are some ideas for day two: tour the pleasant surroundings at Lincoln Park, then take in the views from Golden Gate Bridge, then take a leisurely stroll along Fisherman's Wharf, and finally explore the wealth of natural beauty at Alcatraz Island. To find traveler tips, ratings, and more tourist information, read our San Francisco road trip planning app . New Delhi, India to San Francisco is an approximately 19.5-hour flight. You can also do a combination of train and flight. You'll gain 13 hours traveling from New Delhi to San Francisco due to the time zone difference. Traveling from New Delhi in May, expect San Francisco to be much colder, temps between 24°C and 13°C. Wrap up your sightseeing on the 24th (Fri) early enough to travel to Las Vegas. On the 25th (Sat), try your luck at Casino at the Venetian, try your luck at New York New York Casino, and then explore the stunning scenery at Red Rock Canyon National Conservation Area. On the 26th (Sun), you'll have a packed day of sightseeing: try to win big at Bellagio Hotel and Casino, admire the natural beauty at Bellagio Conservatory & Botanical Gardens, then take a stroll through The Strip, and finally make a trip to Bellagio Fountains. You can fly from San Francisco to Las Vegas in 4 hours. Another option is to drive. Prepare for a bit warmer weather when traveling from San Francisco in May: high temperatures in Las Vegas hover around 36°C and lows are around 20°C. Wrap up your sightseeing on the 26th (Sun) to allow time to travel to Miami. 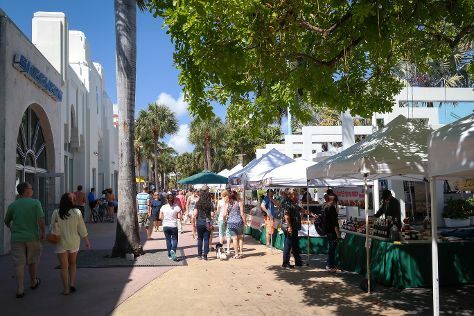 Kick off your visit on the 27th (Mon): steep yourself in history at Barnacle State Historic Site, then take a stroll through Lincoln Road, then wander the streets of Collins Avenue, and finally enjoy the sand and surf at South Beach. For traveler tips, where to stay, photos, and more tourist information, use the Miami road trip app . You can do a combination of flight and bus from Las Vegas to Miami in 8 hours. Other options are to drive; or take a train. The time zone difference moving from Pacific Standard Time to Eastern Standard Time is 3 hours. Traveling from Las Vegas in May, expect somewhat warmer with lows of 27°C in Miami. Cap off your sightseeing on the 27th (Mon) early enough to travel to Orlando. Pack the 29th (Wed) with family-friendly diversions at Discovery Cove. Pack the 30th (Thu) with family-friendly diversions at Universal Orlando Resort. There's still lots to do: make an unforgettable trip to Walt Disney World Resort. To find reviews, maps, traveler tips, and other tourist information, use the Orlando day trip website . Fly from Miami to Orlando in 3.5 hours. Alternatively, you can drive; or do a combination of train and flight. Traveling from Miami in May, you can expect nighttime temperatures to be little chillier in Orlando, with lows of 24°C. Finish your sightseeing early on the 30th (Thu) to allow enough time to travel back home.